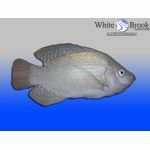 White Brook Tilapia Farm is an annually inspected hatchery facility that provides only the highest quality GMO and hormone free tilapia stock available in the United States today. We are breeders at our very core, and have become quite well known for our development of the famous White Brook White Nile Tilapia™, a fast growing and extremely hardy tilapia strain highly regarded in the industry for its excellent fillet yield and high quality white flesh. 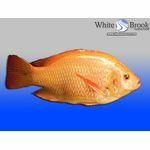 We are also well-known for our work in improving the Hawaiian Gold Tilapia, a beautifully colored, fast growing Mozambique based strain. We have a passion for tilapia genetics, and are dedicated to the continuous improvement of our tilapia strains, employing specialized selective breeding, aggressive culling and advanced genetic diversity management practices. Our state inspected zero discharge hatchery is a closed loop, bio secured indoor facility, and we adhere to a very strict disease prevention plan. 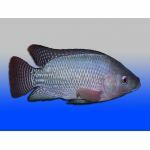 We ship our tilapia nationwide and cater to a broad clientele, ranging from large scale commercial growers to backyard aquaculture and aquaponics hobbyists. Have questions? Feel free to contact us by clicking here. Our experienced and friendly staff is here to help. We are always happy to answer any questions you may have regarding your tilapia project. Please feel free to contact us with any questions.